Wyndham Hotel Group has made two new appointments to strengthen its Europe, Middle East, Eurasia and Africa (EMEA) leadership team. Patrick Divall has been appointed to the role of Regional Vice President, Western Europe, and Ignace Bauwens to the role of Regional Vice President, Middle East and Africa. 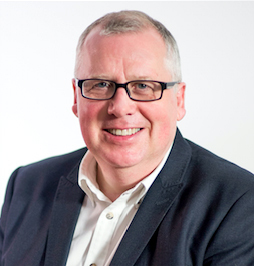 Divall joins the company from Starwood Hotels & Resorts, where he was most recently the Regional Director of Finance, Western Europe, and brings more than 30 years’ experience in the hospitality industry. In his new role, he will report into Dan Ruff, President and Managing Director, EMEA, and be responsible for driving growth of Wyndham Hotel Group’s portfolio in Western Europe, which currently includes more than 150 hotels. He will be based at the company’s London office. 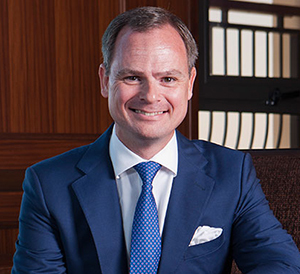 Divall said: “I have a particular passion for growing and nurturing teams and therefore am delighted to join Wyndham Hotel Group at a time when our portfolio of managed and franchised hotels across Western Europe is growing at an incredible pace. Bauwens joins Wyndham Hotel Group with almost 30 years of experience in the hospitality industry, including senior operations roles at Accor and InterContinental Hotels Group. Based in the Middle East since 2002, he most recently served as Managing Director for BLH bvba Hospitality Consultancy and as CEO of Abu Dhabi National Hotels (ADNH). In his new role, Bauwens will oversee one of Wyndham Hotel Group’s fastest-growing regions. He will also report into Dan Ruff and will be based at the company’s Dubai office. Bauwens said: “Wyndham Hotel Group has a very bold development strategy – to ensure that wherever adventure leads, travellers can find our hotel brands nearby. This year Wyndham Hotel Group has reached important development milestones in EMEA, including introducing the Super 8 brand to Europe, opening the company’s 50th hotel in Turkey, expanding into Greece with the Wyndham Grand Athens and announcing new hotels in emergent destinations such as Oman, Iraq and Ethiopia.